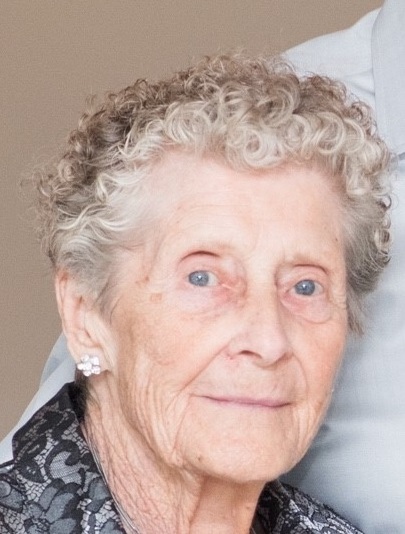 Alice May Creeden, age 91, passed away peacefully at Hillside Manor on January 18, 2019. Born in Stratford, daughter of the late Albert and Gertrude Deakin. Beloved wife of the late Harold Creeden who predeceased her November 11, 2012. Loving mother of Larry (Nancy), Tom (Janis) and Ted – deceased (Cathy). Lovingly remembered by grandchildren Julie Whiteman (Derek), Jeff (Ornella), Chad (Jen), Jeremy (Andrea), Jon (Katlin), Matt (Krystal) and 6 great grandchildren. Predeceased by daughter-in-law Glenda, grandson Shawn, sisters Alberta Cole (Harold), Elsie Gillatly (Gordon) and Greta Thorn.